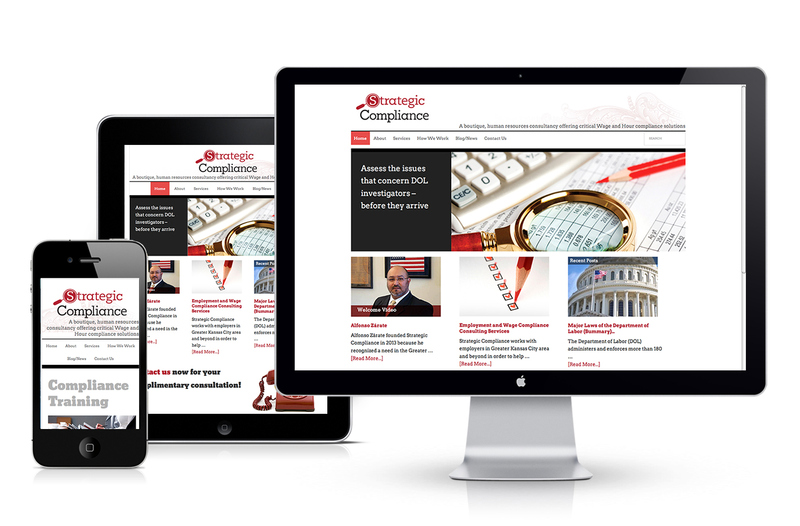 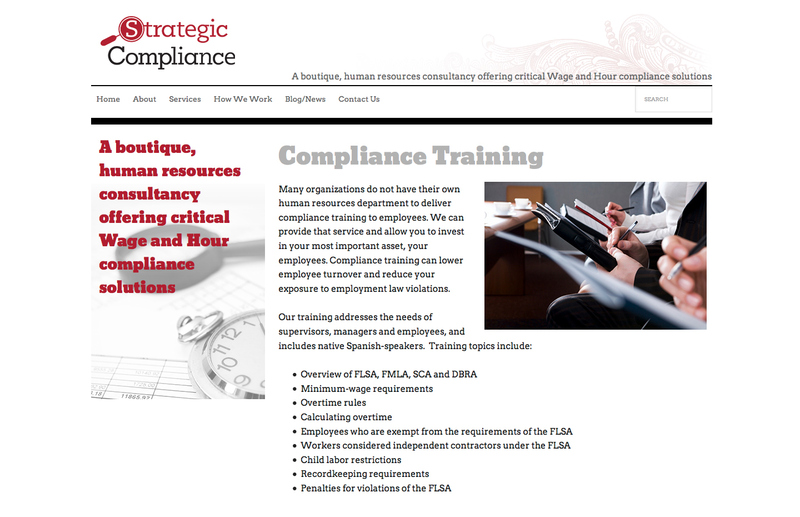 Branding and web development for wage and hour compliance service, Strategic Compliance. 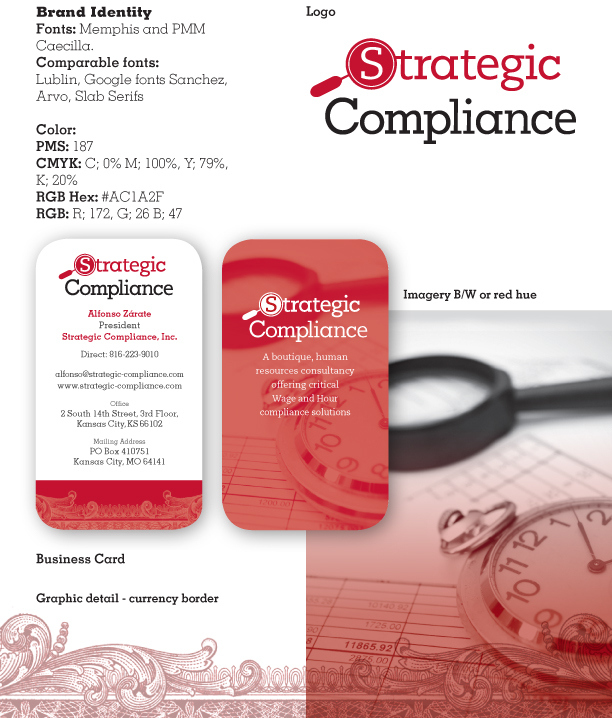 Strategic Compliance fills an important niche in consultative labor compliance. 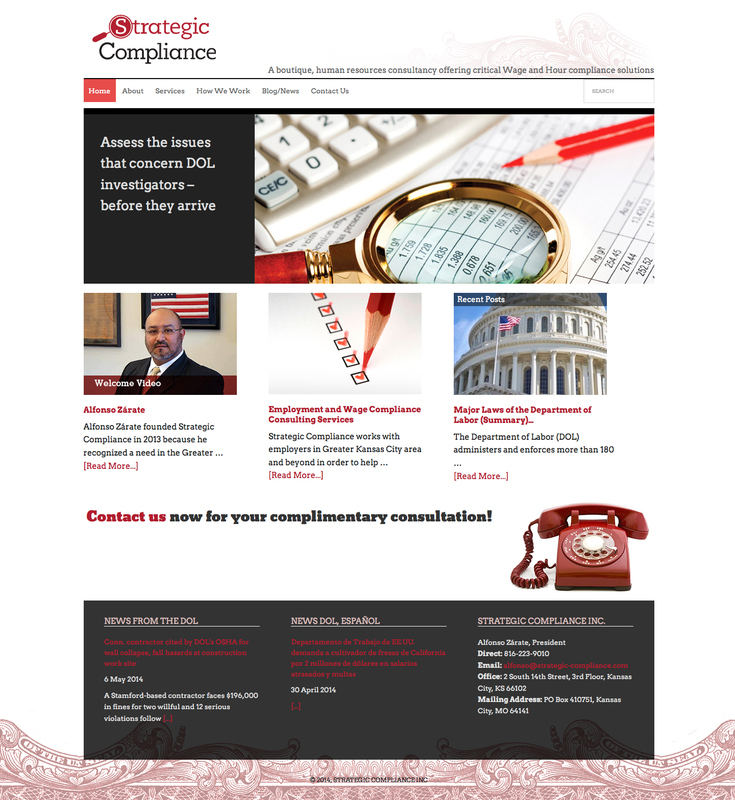 It's principle partner is a first generation Latino labor consultant focused on reaching businesses who may benefit from his ethnic cultural roots and need a bilingual mediator. 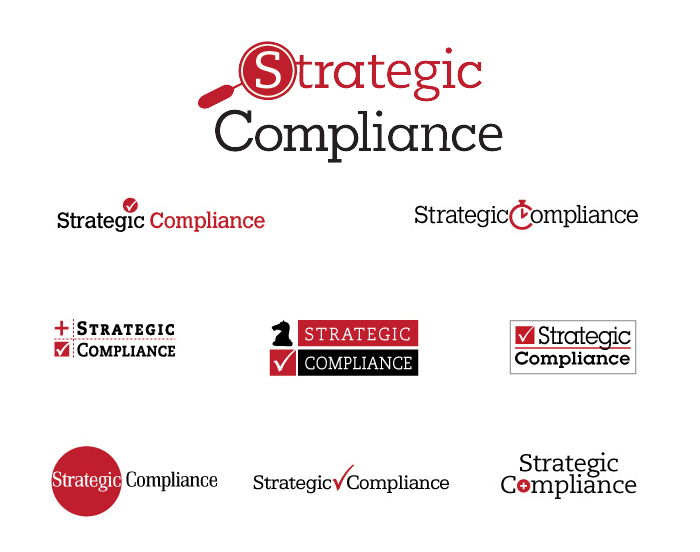 For the branding we focused on direct call to action palette and imagery targeted to making the nature of the work and services they offered easily understandable to it's audience.